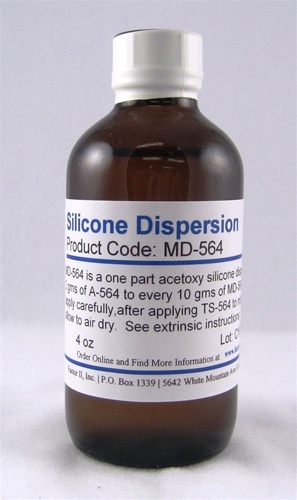 MD-564 is a matting dispersion. Before you use this product you must introduce 2 grams of A-564 to every 10 grams of MD-564 to create the sealing medium. We have found that we cannot premix this product before shipping as the product has a very short shelf life once it is mixed together (it will initiate a full set).